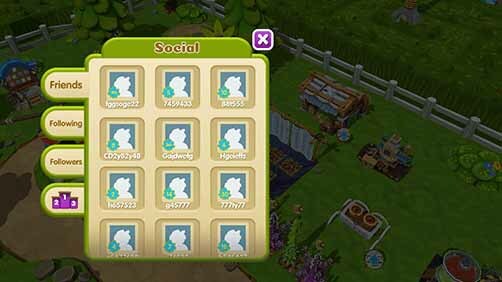 Cannafarm contains a variety of social features that allow you to interact with other players. When visiting other farms you also have the chance to open chests that spawned when they completed an in app purchase. Both of you receive the prize from the chest but it can only be opened by a visiting player. The Chronicle newspaper can be opened by clicking on the newspaper building in your farm. It updates every six minutes with a list of items being sold by other players around the world. Here you should be able to see the item name, the strain it was made from and what the player is charging for it. If an item is sold it will be updated with a sold stamp. 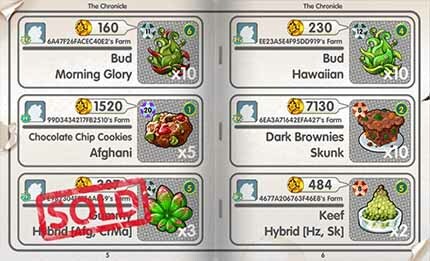 Clicking on an item brings you to that player’s dispensary where you can look through everything they have on sale. If an item is too high level for you to purchase it will be marked in red. Even if an item is too high level for you to purchase clicking on it will still bring you to that player’s farm so you can shop around. 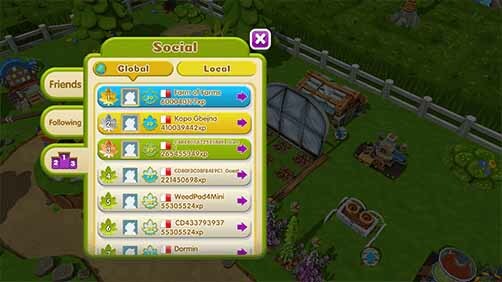 The local and global leaderboards for Cannafarm can be accessed by clicking on the social icon in the main menu and selecting the leaderboard tab in the social menu. From here player’s can see the global and local leaderboard for their country. Your place on the leaderboard will be highlighted with a gold glow. The leaderboard is a great place to find other players to follow so that you can purchase items from them and boost their plants. Players that you follow appear in the social menu alongside any players that you have connected with through Facebook. 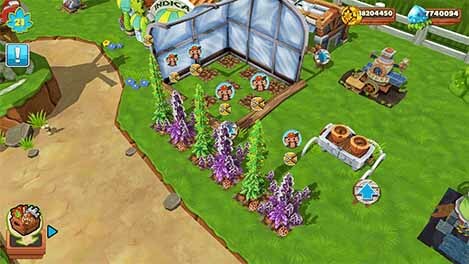 You can use this menu to visit people’s farms, purchase items from their dispensary and boost their plants.